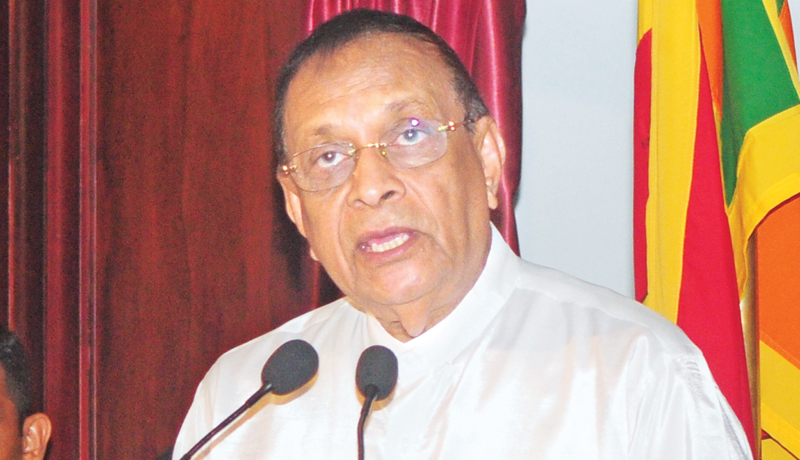 Speaker Karu Jayasuriya said yesterday that a strong and stable national leadership should be created in the country within the next 10 years to address longstanding political challenges and other issues. “It is the duty of all to join hands in order to accomplish this task by creating a stable, prosperous Sri Lanka by solving various issues faced by the people,” the Speaker said. “Eventhough, Sri Lanka achieved ‘independence’ 71 years ago, there has been no strong national leadership created in the country yet,” the Speaker said. “It is not a difficult task to make our country which is abundant with natural and human resources into a stable, peaceful and prosperous Sri Lanka for all people. “This would be possible only if the country is governed by a strong national leadership working without consideration of caste and religious differences and treating everyone with equal respect,” Speaker Jayasuriya said. Speaker Jayasuriya was addressing the 30th anniversary celebration of PAFFREL in Colombo yesterday. The Speaker also admired the role played by the PAFFREL to ensure free and fair elections in the country after the worst PC election held in ‘Wayamba in 1999 where the thuggery reigned supreme with voter impersonation, intimidation of election officials etc. He said that many patriotic forces including religious leaders who came forward and worked voluntarily to ensure a free and fair election laid the foundation for the introducing the 17th Amendment to the Constitution. The Speaker appreciated the immense contribution made by PAFFREL towards establishing a country with Solidarity, Citizenship and Democracy since 1987. The organization has always raised its voice to uphold and protect the sovereign rights of the people and for the strengthening of democracy in the country and establishing a democratic system under the Yahapalana concept. PAFFREL is always been independent without following a partisan or biased agenda,” the Speaker added. PAFFREL Executive Director Rohana Hettiarachchi said Sri Lanka requires a stable political leadership within the next 10 years to take the country foward towards success and prosperity.